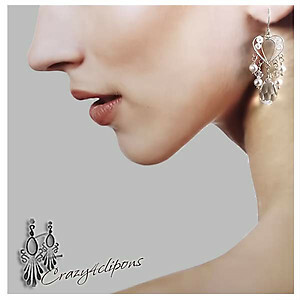 Features: Dazzling, elegant pair of drop clip on earrings. 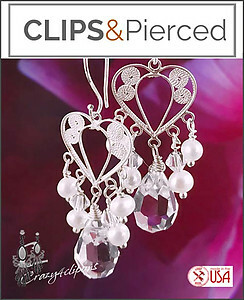 Sterling Silver filigree paired with freshwater pearls and gorgeous faceted crystals. All hand-wrapped by hand. 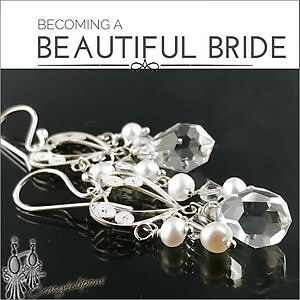 Beautiful for engagement dinners, weddings, brides and maid of honors.